This Selena Justin Kendall love Triangle just got more screwed! 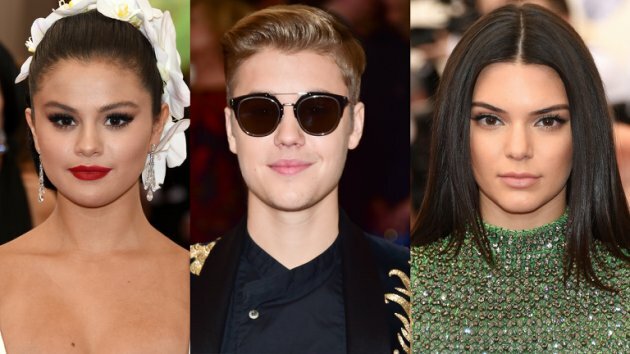 A New report claims that Kendall and Justin not only hooked up behind Selena’s back but it was DURING her relationship with Justin. Just when you thought it was some hope besides Courtney in this family all these Kardashian girls love snaking their friends and sleeping with people man. But to make things even worst Selena caught her then best friend and boyfriend in the act! Justin Bieber 21, and Kendall Jenner 19, intimate relationship behind songstress and actress Selena Gomez 22, back didn’t start earlier this year as we all thought but it actually started last year Coachella 2014 while Selena and Justin was together and poor Selena had to find out about it first hand by walking in on them in the moment says a new report. I feel so terrible for Selena! Finding your best friend and your boyfriend in bed together has to be the worst way to find your boyfriend cheating. I know because I’ve went thru that before except I found out from the local news. That is the most ultimate betrayal on behalf of both people involved reports Life & Style Magazine. Despite how hurt and angry Selena was over what they had done, that didn’t stop them for sparking their romantic relationship back up earlier this year. Even though they didn’t become a exclusive couple, the singer and reality star both continued a relationship full of steamy hooking up for weeks. And to kick the knife even further in Selena’s back Kendall and Justin attended Coachella together this year! Talk about betrayal at its finest!